Hours to go Amir Khan vs Lamont Peterson will take the ring for the WBA Super World Light Welterweight and IBF Light Welterweight Championship at the Convention Center, Washington, D.C., United States of America. Amir Khan will defend his IBF world title for the first time since he won the title over Zab Judah and 6th defense for his WBA world title. Amir Khan's previous fight against Zab Judah was different because of the left jabs that make most of the fight and great head movement. He had the great time for defense and keeping away straight punches. The fight against Zab Judah was impressively a knockout victory hitting Judah by right uppercut at the belt line while others believe that was a low blow shot. Khan scored a 5th round knockout victory and added to his knockout wins record. Lamont Peterson is a fighter that goes back when get hurt just like the fight against Victor Ortiz. He got knockdown twice in round 3 but due to his determination and heart, he strongly stood up and fight back again. Peterson showed his great performance after the knockdown done by Ortiz. He had great counter punches and straights hands. The fight against Victor Cayo was a tough one though he leads in the scorecard, he scored 12th round ko victory. It was the right straights and body punches that hurt Cayo a lot. Amir Khan should be aware of these and he needs to fight at distances, maintain his speed from to start to end and keep the in and out style. Peterson is a tough one and he can win if he cut the distances against Khan and head-to-head fighting style, and the right straights and body punches. Lamont Peterson at 140 pounds was ahead by one pound against Amir Khan at 139 pounds. 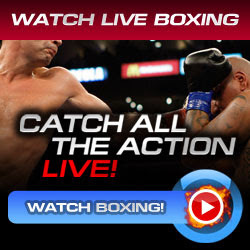 Watch and Sing-up here Amir Khan vs Lamont Peterson Live. . . .